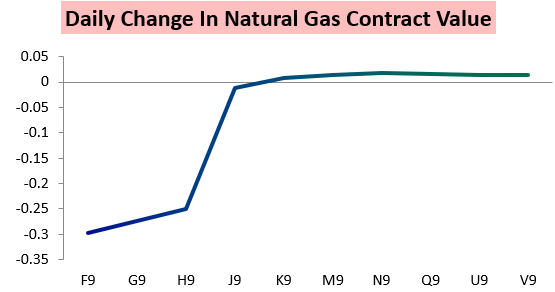 The January natural gas contract got crushed this week, settling down almost 15% for the week as the market finally reacted to significantly warmer weather trends. 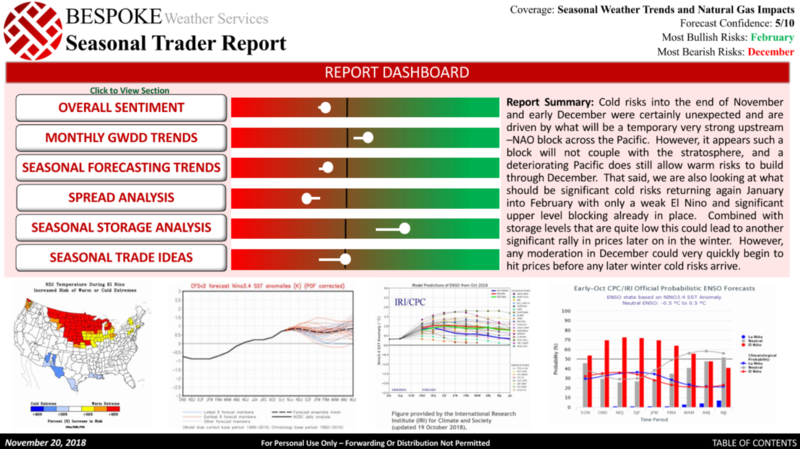 It took awhile for the market to begin reacting to this warmth in December, but this is not particularly a surprise as all the way back in September and October we were warning clients that December had some of the most pronounced warm risks of the winter. Even when November surprised cold we remained consistent in our calls for December warmth. 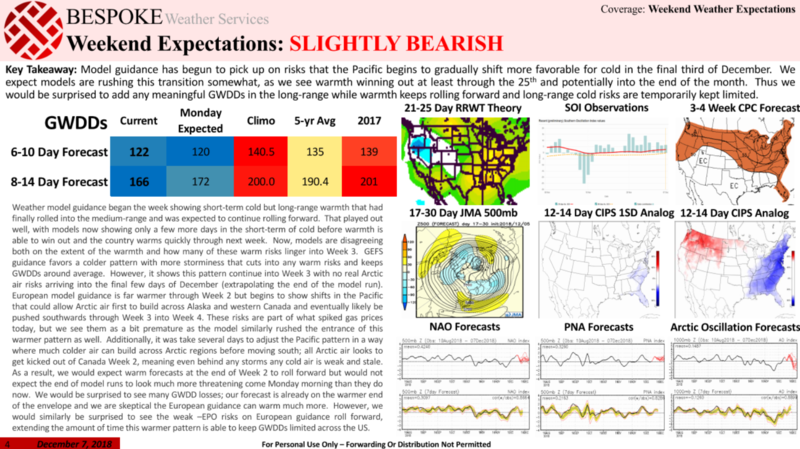 Then last week we warned that over the last weekend and into this week we would struggle to see long-range cold risks on weather model guidance move forward, as the warm pattern had some durability and models were likely too quick in showing cold return. 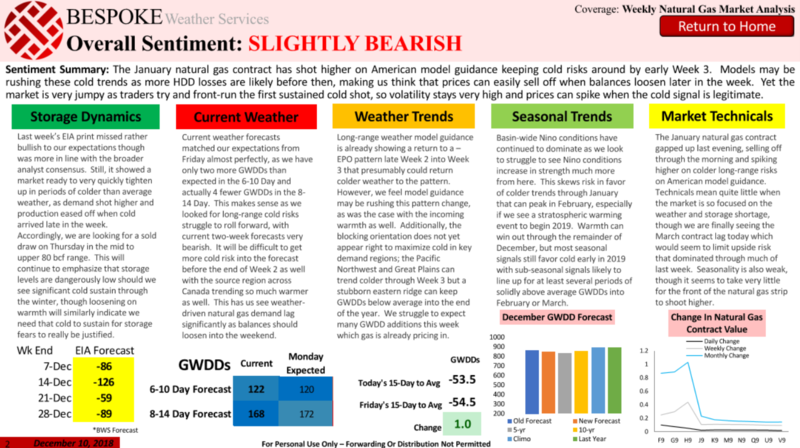 We reiterated that on Monday where we held a Slightly Bearish natural gas sentiment through the week and both saw current weather forecasts as bearish and forecast additional bearish weather trends through the week to hit prices. 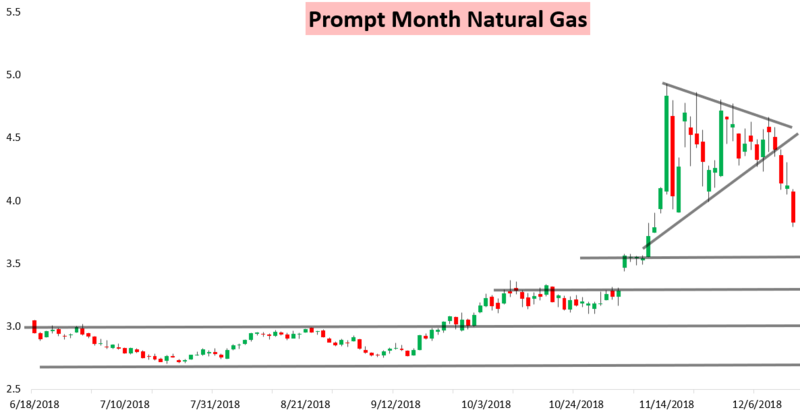 All week we warned of short-term downside for natural gas prices from this warmth, something that played out best today with a significant collapse lower at the front of strip as the January contract plummeted 30 cents. 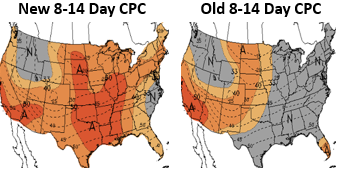 Many lingering natural gas bulls finally threw in the towel as long-range forecasts trended back warmer again today, which Climate Prediction Center Week 2 forecasts showed well today too. 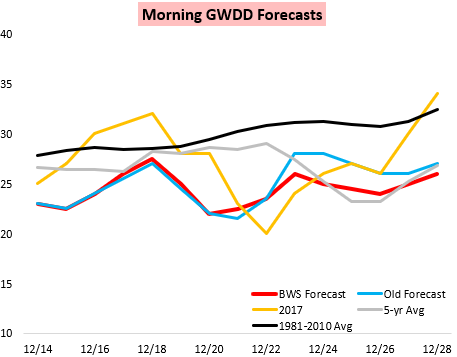 This comes as Gas Weighted Degree Days are expected to remain below seasonal averages through at least the next two weeks, and potentially longer. Tropical forcing appears at least partially to blame, as all week we were warning clients to favor European modeling guidance that showed more warm risks and other models have now trended towards. It has handled this recent tropical forcing event well, and shows tropical forcing lingering over the Maritime Continent through Week 2, sustaining bearish US weather risks.